From the time I started smoking meats, I've taken pride in tending to a fire—learning how to control its temperature, knowing when it needs more fuel, and sitting beside it with not much else to do except down some beers. To me, that was as much part of the barbecue equation as the meat itself and I kind of scoffed at those using devices and crutches to help maintain a fire. 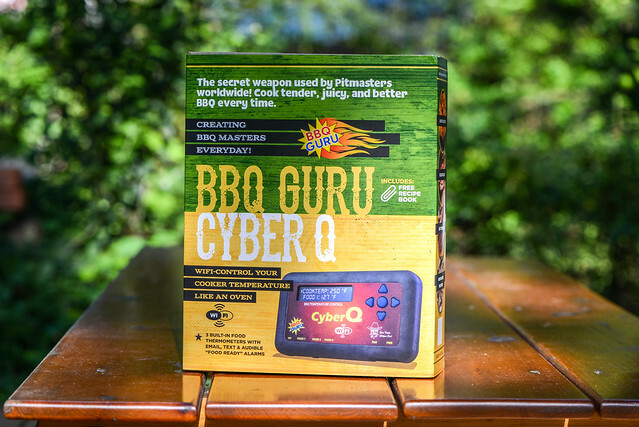 So it was with a some reservation that I took up the offer to try out the BBQ Guru's CyberQ last summer, having more interest in its networking capabilities than its core function of fire and food temperature management. It only took one cook though for me to be totally sold—it kind of brought set-it-and-forget-it functionality to my Weber Smokey Mountain, freeing my to do so much more in the time I would have normally been fussing with the coals, including food prep, blogging, and, most importantly, uninterrupted sleep. 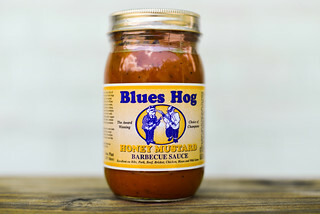 After a few more cooks where I experienced more consistent results in my smoked meats and my fires ran at ideal temperatures for longer periods of time than I was used to, I was fully able to set aside my low tech barbecue pride and embrace the help of the Guru, so much so that when the BBQ Guru team extended another offer to try out their CyberQ Cloud model this summer, I was so excited I couldn't get it fast enough. 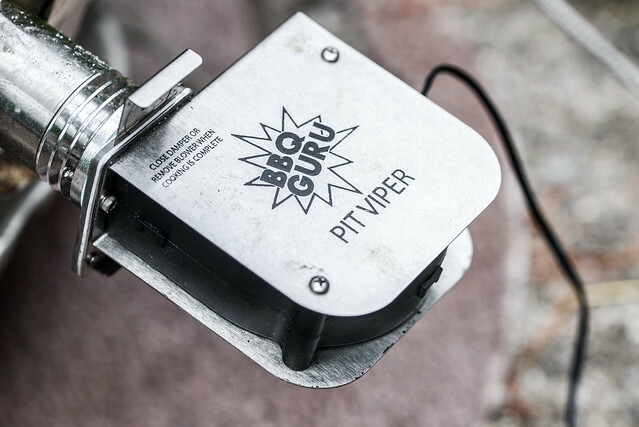 For those not familiar with BBQ Gurus, essentially they're little devices that measure pit and meat temperatures and connect to a fan which is used very effectively to warm and cool a charcoal fire. You can read the full run down on set-up and use on my previous BBQ Guru post, but once you open the box, you'll be looking at the following pieces—the Guru itself with a power source, a pit probe, food probes, and a fan plus the adapter to connect it to your specific grill or smoker, which is selected at the time of purchase. 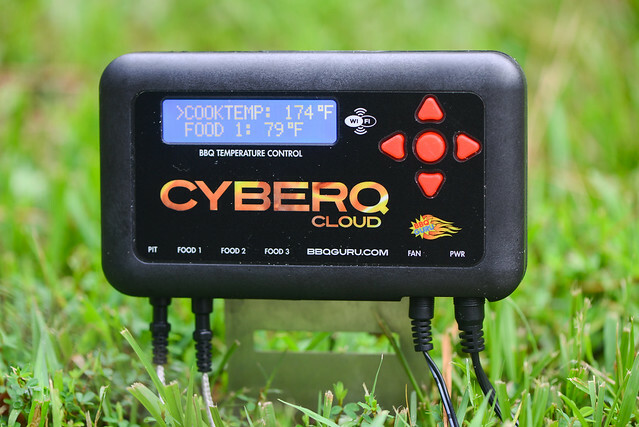 For users like myself, who already own a Guru setup, you can save some bucks by picking up the CyberQ Cloud device only and using the fan and probes you already own. I personally bought an additional fan and Weber adapter so I could use Gurus on both of my smokers at the same time. My biggest gripe with the previous CyberQ was its kind of clunky set-up to your network, which, for those not used to messing with router settings or interfacing with devices via their IP addresses, can be downright daunting. When getting up and running with the CyberQ Cloud, I wanted to see if it could be done in the time it took to light a small batch of coals, which I succeeded in doing with time to spare. 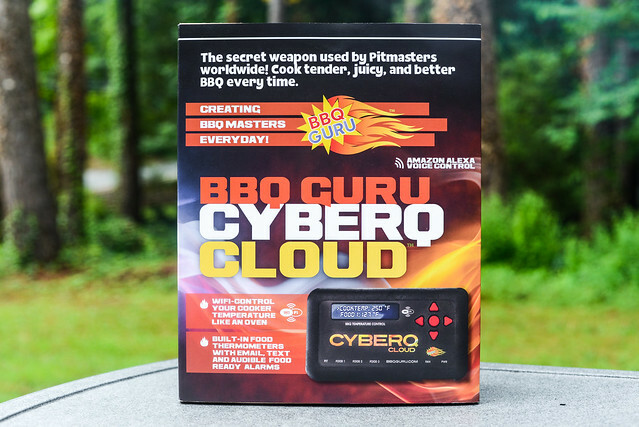 Compared to the previous CyberQ, the set up was exceedingly simple—find and select the device on your WiFi with your phone, set-up an account on sharemycook.com, and then complete a couple short steps on the website to finish the configuration. The majority of the time it took me to bring the CyberQ Cloud online was spent creating an account—it was that quick and easy. Once connected, it was time to get to cooking. 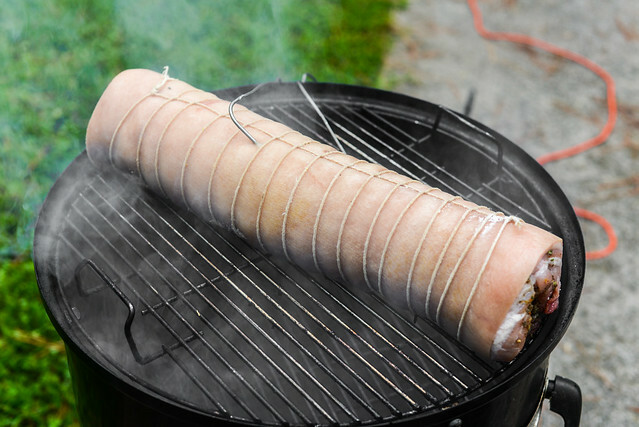 I was doing a pork belly porchetta on this day, and set that beast of a piece of meat on the smoker and inserted the food probe in the center and affixed the pit probe to the rack. From then on, I was able to control the pit temperature and keep an eye on the food temp through the interface on sharemycook.com. 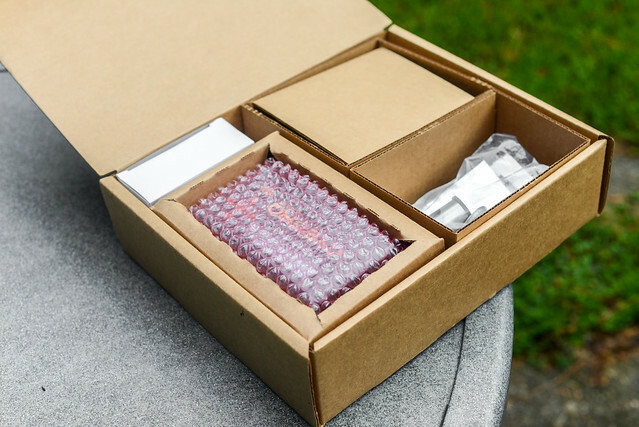 This new site solved a couple smaller qualms I had with the last CyberQ device. The primary one was you needed to be on your local WiFi network to access the CyberQ interface online—with the device now being connected via the cloud, you can manage your Guru from anywhere you have an internet connection. The second was a lack of a mobile-friendly interface, but the responsive sharemycook.com site means you'll get a decent display to work on at any screen resolution. 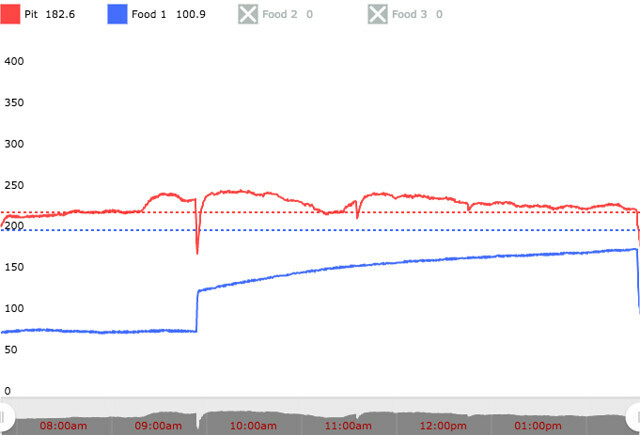 Then came the best part of the CyberQ Cloud—it tracked and saved data from my entire cook! 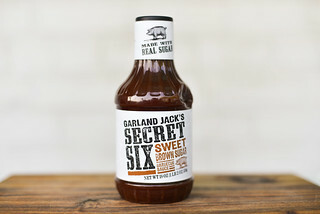 For someone who's a recipe developer and often goes back to reference and learn from past experiences, having this information is priceless, and the ease at with it is created and made available to you is incredible in my mind. Sharemycook.com is also community-based, so you can browse other Guru users' cooks and recipes, constantly learning and discovering, and likely making some friends along the way. Above you'll see the graph outputted by this cook. In the first couple hours you'll notice the food temp didn't change, which was my fault for not having plugged the food probe in fully. After that you'll see the Guru kept the temperature pretty steady with the peaks being created because I upped the temperature a couple times to 250°F when I wanted to speed things up, and valleys from when I lifted the lid to snap some photos. The CyberQ Cloud has alarms and alerts to be notified if anything is going awry, but I didn't run into any issues on this cook. 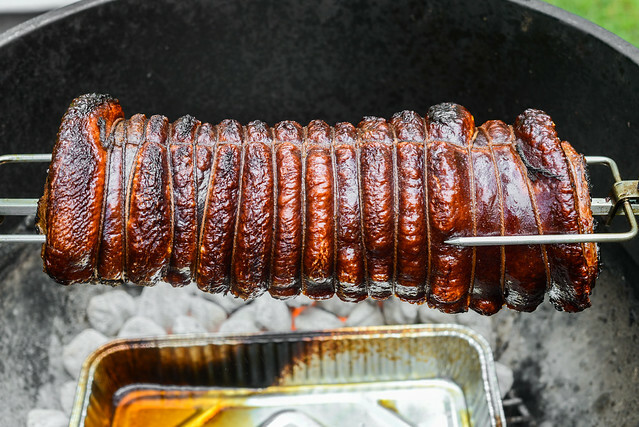 I had set my food temp to 203°F as that was the max I would let this pork belly cook to, although I planned to pull it off the pit at 180°F, which I did at around the 7 hour mark. 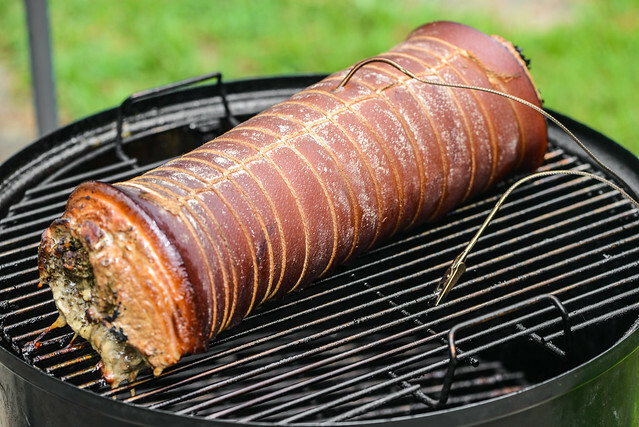 At that time, the Guru's job was done and I moved the pork belly to the rotisserie and crisped up the skin over a hot fire. The final product was outstanding and I couldn't wait to share my joy in this excellent piece of pork. Luckily, sharemycook.com lets you accomplish that as well, with the ability to post the recipe and attach it to your cook too. In here lay my only real annoyance with the entire process—while I linked the recipe and cook together on the site, on the front-end, you cannot click between one and the other, keeping what I see as very useful and connected information separate to users who would benefit from being able to see the whole, interconnected story. That's likely a small programming fix that will hopefully be corrected and it didn't take away from the overall excellent experience with the CyberQ Cloud, whose ability to not only output better food, but capture and share data on how it was made, I feel is one of the most exciting things available to backyard barbecue enthusiasts right now.